There is worry and concern among parents and students in southern Prince George's County, Maryland, as the Board of Education prepares to decide whether to close Forestville High School and Skyline Elementary School at the end of this school year. 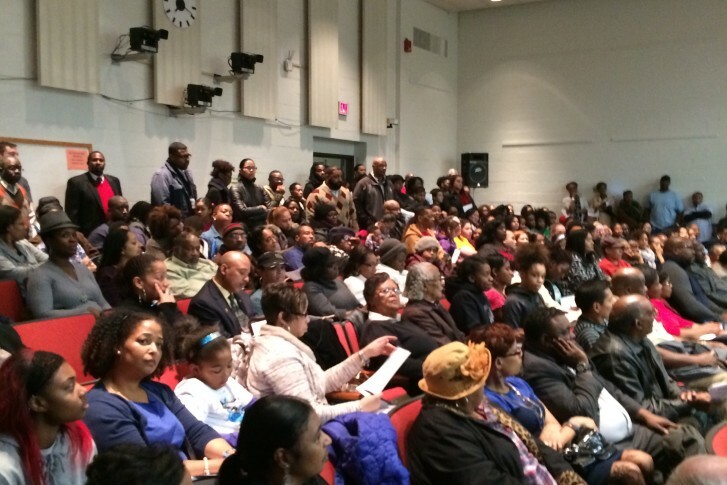 WASHINGTON — There is worry and concern among parents and students in southern Prince George’s County, Maryland, as the Board of Education prepares to decide whether to close Forestville High School and Skyline Elementary School at the end of this school year. Seven other elementary schools and two additional high schools could also be closed in the years ahead, under a cost-saving plan put forward by the Board of Education’s chief executive officer Dr. Kevin Maxwell. “Now, Dr. Maxwell what would you do if you were still in school and they tried to close your school? Wouldn’t you do everything in your power so that they wouldn’t close your school?” asked Kimaya Tillerson, a 12-year-old middle schooler. Tillerson was one of 80 speakers who addressed the school board at a packed public hearing Tuesday night. Tillerson told the board she’s been looking forward to attending Forestville High School, a school whose alumni include her mom, aunts and uncles. Among the proposed changes under consideration would be to close Forestville High, including its Junior ROTC program, sending students to Suitland High. Students at Skyline Elementary would be reassigned to William Beanse Elementary. The students in Skyline’s dedicated autism program would be reassigned to their neighborhood schools. Numerous other boundary changes would reassign students in elementary and middle schools. “Isn’t the mission to have smaller classrooms for kids with special needs instead of just bulking them to where you can save money?” asks Kimberly William, of Brandywine. William’s autistic son, a second grader at Skyline Elementary, would be forced to change schools under the proposal. “A child with autism needs consistency, they need familiarity, they need structure,” William says, worried that her 8-year-old son, Johan, might not properly adapt to a general classroom. Parents also complained that they have been blindsided by the proposal because the Board of Education has given them too little notice of the possible closures and boundary changes. The board is scheduled to announce its decisions about the proposed closures and boundary changes at a meeting at 7:05 p.m. on Thursday, Feb. 25 at the Board of Education headquarters in Upper Marlboro.